Washing your hair in the basin is no problem at all with this high spout. 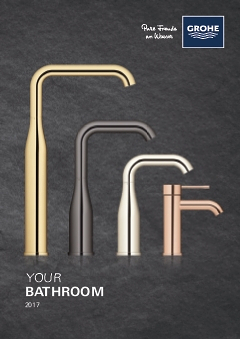 GROHE products are perfectly suited to all your needs and requirements in the bathroom. Make sure you choose the right basin height to match this tap. Trust GROHE LongLife cartridge technology to make controlling the water flow and temperature smooth and accurate, for a tap you can rely on for years to come.